”Not only was it our goal to show the newest developments taking place within photography but from the beginning we also wanted to show the accessibility of photography for a younger audience”. 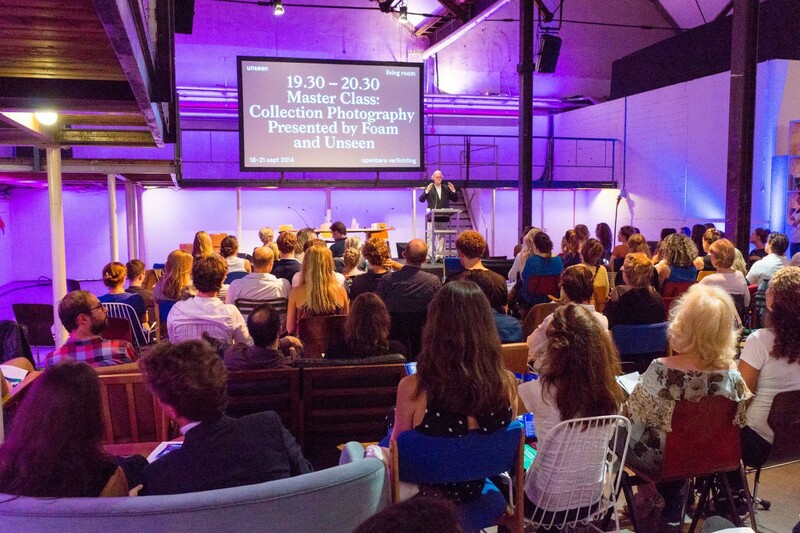 Unseen, the international photography fair and festival focused on new photography, will take place from the 18th to the 20th of September 2015 at Amsterdam’s Westergasfabriek. With 54 international galleries, Unseen Photo Fair highlights the most recent developments in contemporary photography by presenting emerging talent and unseen work by established artists. 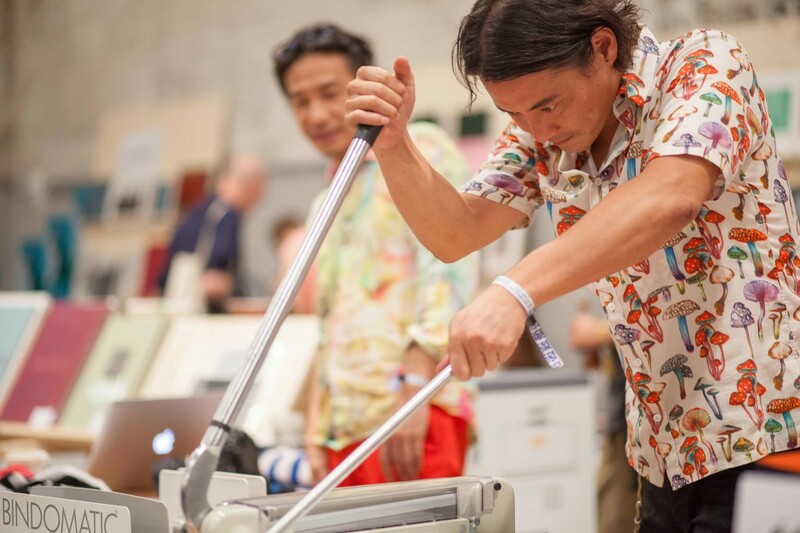 The on-site festival program is a place for the exchange of dialogue, artistic expression and ideas, and includes lectures and debates, and a book market. 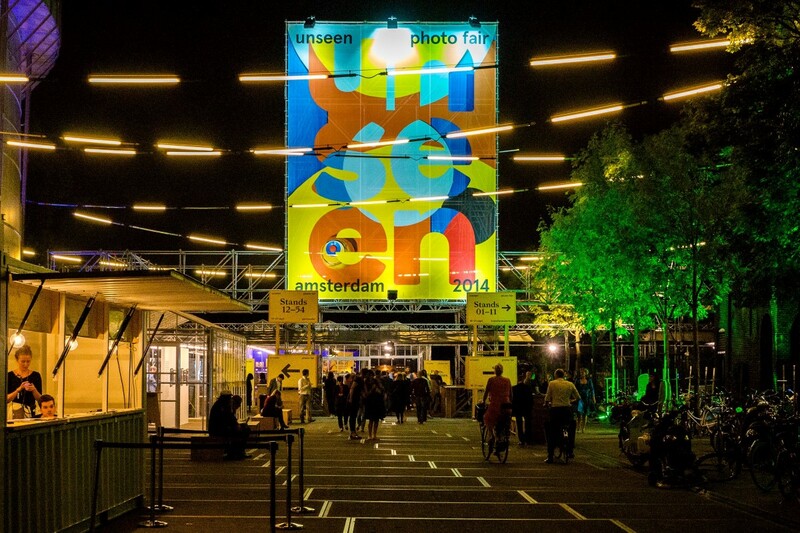 New in 2015 is the Unseen Festival, a 10-day celebration of photography in the city center. From the 18th to the 27th of September, Unseen brings together many of the city’s institutions, galleries, artists and initiatives using photography in unexpected, innovative and provocative ways in a program that is sure to challenge, inspire and excite. 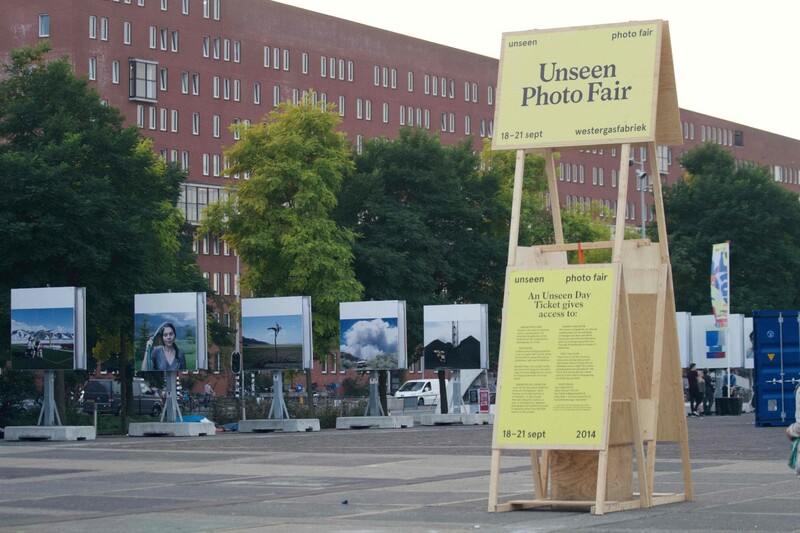 Emilia van Lynden is Head of Artistic Affairs for Unseen Photo Fair & Festival in Amsterdam, the Netherlands. Additionally she is also Editor-in-Chief of the annual publication, Unseen Magazine founded in 2014. The fair, the festival and the publication focus on the work of young artists and new work by established artists. Van Lynden among other things is sourcing up-and-coming talents as well as galleries with a rich program committed to supporting young artists. 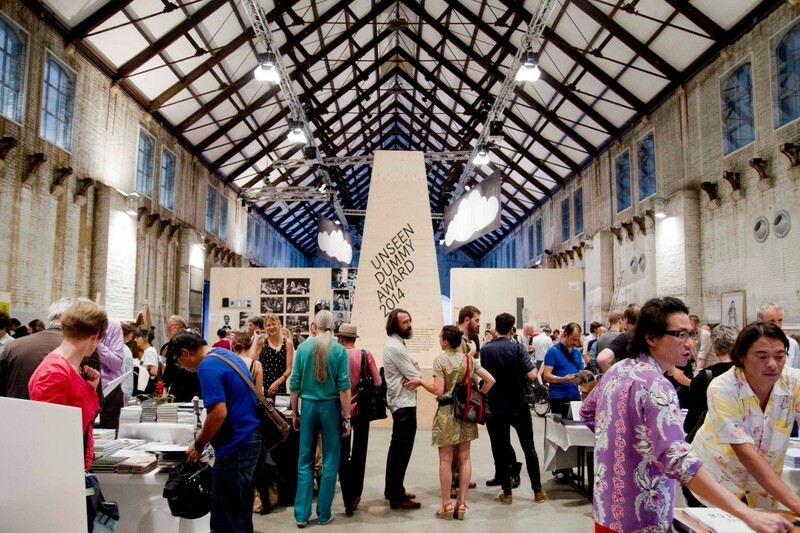 BF: Unseen is largely looked upon as an exceptional leader in contemporary photography fair packages. Though Reed’s Paris Photo and Paris Photo L.A. stand as industry regulars through longevity and commercial attraction, Unseen is noted as a fair, which promotes the newest and perhaps most cutting edge attractions in contemporary art and photography. At its inception, was Unseen calculated to be the perfect niche bridge between contemporary practice and commerce? Emilia: I think that you can say that the idea behind Unseen was to indeed fill this niche that we thought had been under represented or not represented at all at other art fairs. Young talent but also the newest works by established artists was not presented enough in our eyes at international fairs. As photography is a medium that is changing so rapidly, we thought that this was something that needed to be brought to the forefront and that needed to get far more attention than it was getting. Not only was it our goal to show the newest developments taking place within photography but from the beginning we also wanted to show the accessibility of photography for a younger audience. Photography is a medium that younger generations can relate to far more easily than other mediums and therefore setting up a fair showing new and young photographers was a logical way of bridging that gap but also a means to create a platform for beginning buyers. BF: Its amazing to think about what a rich and varied field photography has become. It has transitioned from a standard two-dimensional historical mode of representation to that of a full-fledged art practice where its former normative rules of engagement have changed to painterly and sculptural. The photograph has literally jumped off the wall in many cases. Can you elaborate a bit as to why photography’s recent developments have felt this urge to move in this direction as Unseen seems to be very brave in showcasing these inter-disciplinary works as part of its never-ceasing interests in the freshest and most cutting edge practices? Emilia: There are lots of different aspects that have led to this change within photography but I think that a major reason is the introduction of the digital. The rise of the digital saw a colossal shift in the practice of photographers. They started more than ever to challenge the role of the photograph and how it could be presented. The once harsh boundaries between the different visual arts, suddenly became blurred as artists pushed, pulled and twisted what a photograph could be. The digital therefore opened up the possibility but also to a certain extent created the necessity to revise what a photograph could be. The process at times becomes just as, if not more, important than the end result. Now that photography has largely been accepted as an art form, photography has branched off in a huge amount of different directions. It is this that we want to show at Unseen; the artistic diversity that is constantly surprising and challenging the viewer. ” The Unseen buyer is indeed reasonably young with more than 50% of our visitors being under the age of 45. We hope to further build on being a fair where both young, starting collectors and older collectors can come together in a relaxed and informal setting. It is the combination of young and older that stands central to Unseen, not only in the visitors that we attract but also the artists that we represent and the professionals that we invite”. 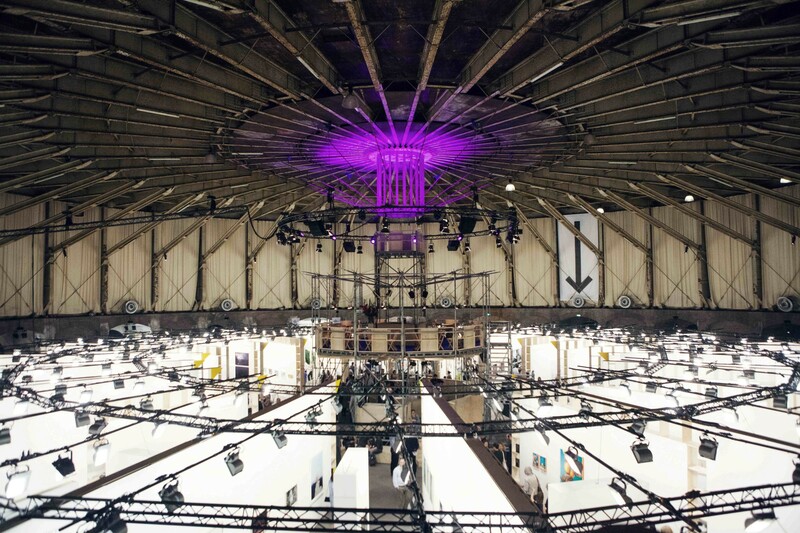 BF: Unseen also attracts a bevy of fresh galleries to Amsterdam. It seems like a double win when a fair can attract galleries who are able to showcase new talent and a fair that can promote the freshest work being made. Has this always been a natural synthesis? Has there been pressure to show more mainstay works at the fair…to play the name game with the big stars of photography? Emilia: Since the beginning of Unseen in 2012, we have been incredibly lucky by the support of leading art galleries who were willing to take a chance in backing us. 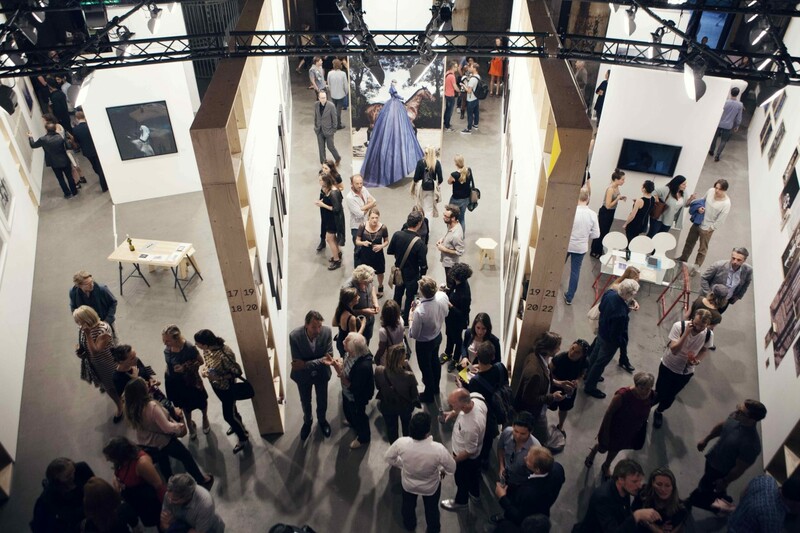 The annual exhibitors list is a compilation of galleries who submit strong proposals showcasing new talent and of galleries that we as an organisation search for and contact. Throughout the year the Unseen team researching young talent and often through the artist finds the gallery, not necessarily the other way round. There has never been an overwhelming sense of pressure in the past due to the fact that we have also stood our ground regarding the Unseen concept. This is at the heart of what we do and therefore we try our utmost to stay true to our name. 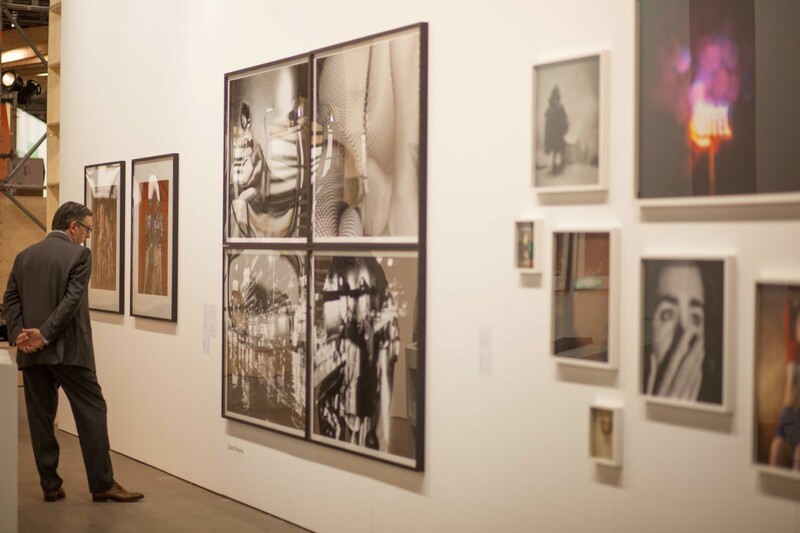 We ask a considerable amount from our exhibitors but in return receive a huge amount of enthusiasm from our gallerists who fully accept the challenge of showing young artists who might not be known yet. Their willingness of taking a risk seems to increase year by year. We can see that through the introduction of the Unseen Premieres; works that have never been seen before at an art fair or in any cultural institution or gallery. We started the premieres in 2014 in the hope that some artists would be able to show their newest work. We were astounded to be able to present 66 premieres last year. I am incredibly proud that at Unseen 2015, we will be showing over 80 premieres. I think that this is a direct reflection of the loyalty of our exhibitors to our concept and identity. BF: Can you tell us a bit about the demographic of the Unseen buyer? I gather many people come to Unseen locally, but I am curious if the Unseen Art buyer is a younger and or older art buyer. 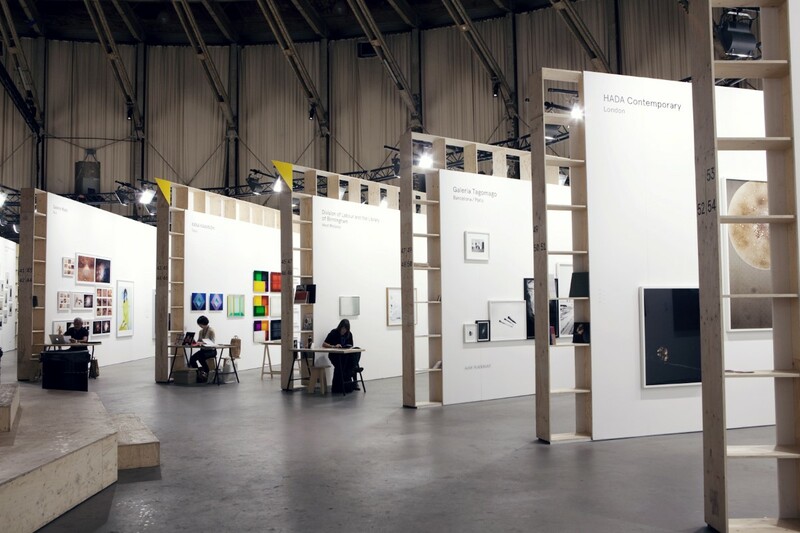 It would indicate to me that there would be an emphasis on a young buyer given the nature of the works, which in theory is excellent for the community as it encourages young people to start collecting early and to perhaps not be afraid of the commercial austerity found in the mega-fair packages in places like Miami or Basel…. Emilia: The demographic of the Unseen buyer has changed considerably since Unseen was founded. The main reason for this being that we have seen an increase in international visitors per year, resulting in a quarter of our 2014 visitors coming from abroad. A demographic that has remained rather consistent however is the age of the visitor. The Unseen buyer is indeed reasonably young with more than 50% of our visitors being under the age of 45. We hope to further build on being a fair where both young, starting collectors and older collectors can come together in a relaxed and informal setting. It is the combination of young and older that stands central to Unseen, not only in the visitors that we attract but also the artists that we represent and the professionals that we invite. BF: It is my understanding that the future of Unseen will look more towards the city of Amsterdam with an expansion on photography exhibitions and activities across the cities in museums, galleries, etc. This points to the heavy impact Unseen is having on its local community that lasts long after the fair has ended. Has this been calculated or is it something that the city of Amsterdam has naturally gravitated towards? Emilia: I think I would rather see it as the other way round, not necessarily the impact Unseen has had on the local community but the impact that local community has had on Unseen. We have realised that now more than ever there is such a huge amount on offer in Amsterdam in regards to photography. 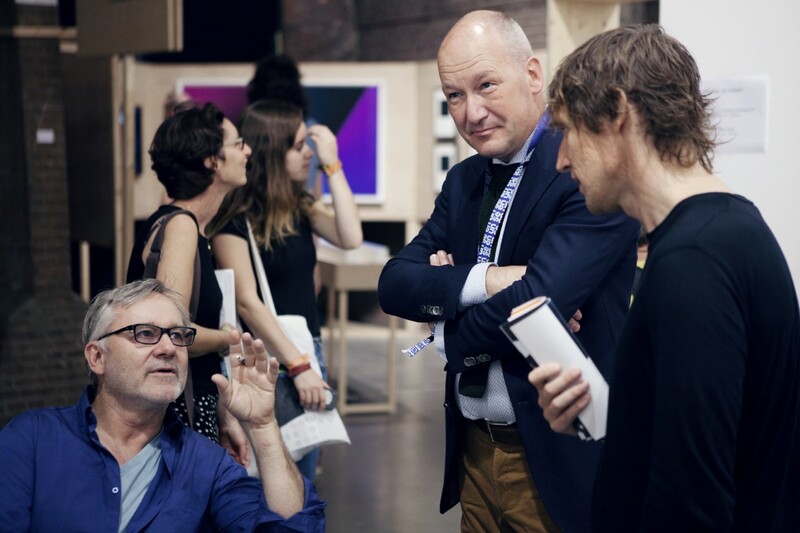 We have fantastic academies in the Netherlands, superb galleries, innovative institutions and most importantly, an array of talented local and international artists that live and work in Amsterdam. Amsterdam has so much to offer. We are merely creating a platform which highlights this and which shows both the local Dutch audience, as well as the international audience, that Amsterdam and the Netherlands in general is incredibly rich when it comes to contemporary photography. Posted in Interviews and tagged Brad Feuerhelm, Emilia van Lynden, Unseen Magazine, UnseenASX.